Wear Oakley Enduro and you'll attract attention. 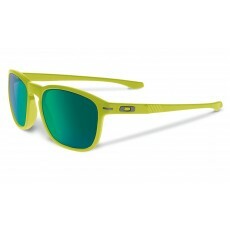 Because action sports hero Shaun White and Oakley made them it that way. Rounded lenses and a keyhole bridge give these sunglasses a retro look. This one looks assuredly cool in Fern green. This edition is part of the Heaven And Earth Collection.